Game description: Gear up and go! Grab your steering wheel and get ready for the race of your life! Equip your car with over 120 gadgets, including parts that help you soar above the competition or swim like a fish. Face challenging weather conditions, death-defying jumps, hairpin turns and more as you head for first place. Get ready to burn rubber with Gadget Racers! A mix of RPG and Racing, with lots of sidequests, lots of car parts, collectables and car bodys; a variety of characters. Game works fine but requires the patch attached in the first post else it will hang at start. The patch also skips the movies. You can also enable automatic gamefixes as the patch has already been added to the database. Hangs at start without the patch. 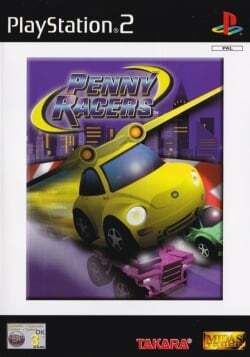 Not to be confused with the EU version of Gadget Racers, which shares the title with the US version of this game. This page was last edited on 13 April 2018, at 06:47.